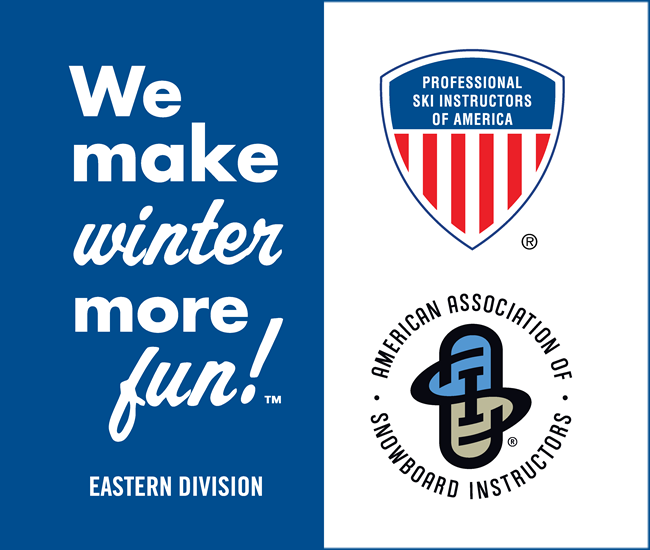 For the first time ever, PSIA-AASI National and PSIA-AASI Eastern Division have collaborated to develop and offer you one combined high-value and benefit-rich school membership that combines valuable tools and rewards in recognition of your dedication to snowsports education. Help your guests experience more fun on the slopes this season AND turn them into repeat visitors by renewing your status as a PSIA-AASI member school today. PSIA-AASI’s goal is to support you within your school, resort, and division by providing industry-leading education resources that help you and your staff deliver great guest experiences. PSIA-AASI also ensures nationally-recognized credentials and education events meet and exceed your school and area’s needs. We are excited to offer you this opportunity! 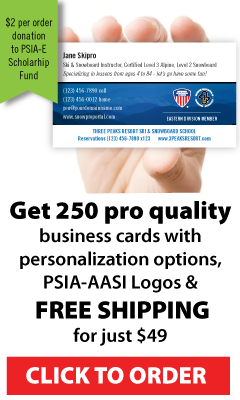 Check out all that you receive as a PSIA-AASI National-Eastern Member School. . .
You may view content and video from our collection of nine manuals and guides pertaining to all disciplines. A $300-plus value alone! For every 50 lift tickets we use from your school and resort for Eastern events, we will reward you with $50 in “education bucks” that you can redeem in the following season for distribution to members of your school staff to assist in subsidizing their Snowsports education development via attendance at Level II preps, pre-reqs and exams. For every 5 Snowsports staff members you send to the two-day First Chair: An Introduction to PSIA-AASI event you will receive $50 in education bucks for redemption the following season for Level II preps, pre-reqs and exams. This carries over from season to season as well. 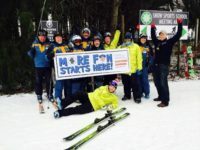 “Find a Snowsports School” Listing, Web Links & Map Location on Consumer-Oriented Site www.MakeWinterMoreFun.com. All of the above plus access to individual professional support from the dedicated staffs of PSIA-AASI National and Eastern are yours for the annual partnership investment of just $100.00. Click on the link below to complete your member school application. We can accept your credit card information or send a check to: PSIA-AASI Member School, 1 A Lincoln Avenue, Albany, NY, 12205.